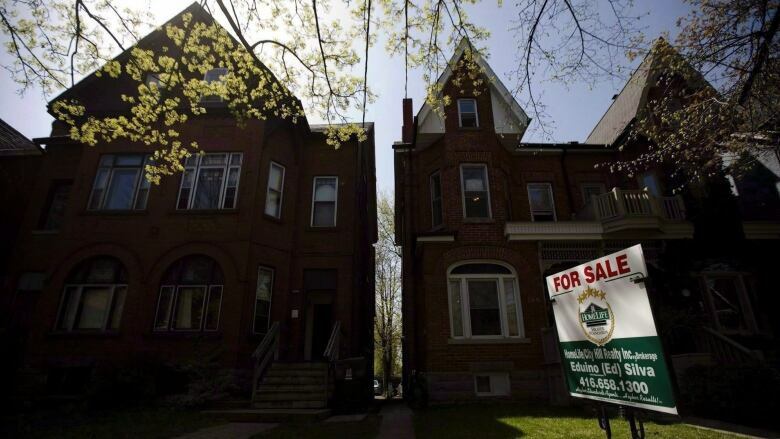 The number of homes sold last month in the Greater Toronto Area plunged a whopping 37.3 per cent compared to the same month a year ago, the city's real estate board said Thursday, weeks after Ontario introduced measures aimed at cooling the housing market. The Toronto Real Estate Board said 7,974 homes changed hands in June while the number of new properties on the market climbed 15.9 per cent year over year to 19,614. The average price for all properties was $793,915, up 6.3 per cent from the same month last year. In April, the Ontario government implemented rules intended to dampen Toronto's heated real estate market, where escalating prices have concerned policy-makers at the municipal, provincial and federal levels. Ontario's measures, retroactive to April 21, include a 15 per cent tax on foreign buyers in the Greater Golden Horseshoe region, expanded rent controls and legislation allowing Toronto and other cities to tax vacant homes. "We are in a period of flux that often follows major government policy announcements pointed at the housing market," TREB president Tim Syrianos said in a statement. "On one hand, consumer survey results tell us many households are very interested in purchasing a home in the near future, but some of these would-be buyers seem to be temporarily on the sidelines waiting to see the real impact of the Ontario Fair Housing Plan. On the other hand, we have existing homeowners who are listing their home because they feel price growth may have peaked. The end result has been a better supplied market and a moderating annual pace of price growth." The fall in house sales mirrors what happened in Vancouver after the B.C. government introduced a 15 per cent foreign buyers' tax last August. There have been growing worries that overheated prices in Vancouver and Toronto could be a problem for the broader economy, especially if there is a sudden decline in housing prices sparked by higher interest rates. The Bank of Canada recently signalled that time is running out for the rock bottom interest rates it put in place in 2015 to cushion the blow of a sudden decline in global oil prices.